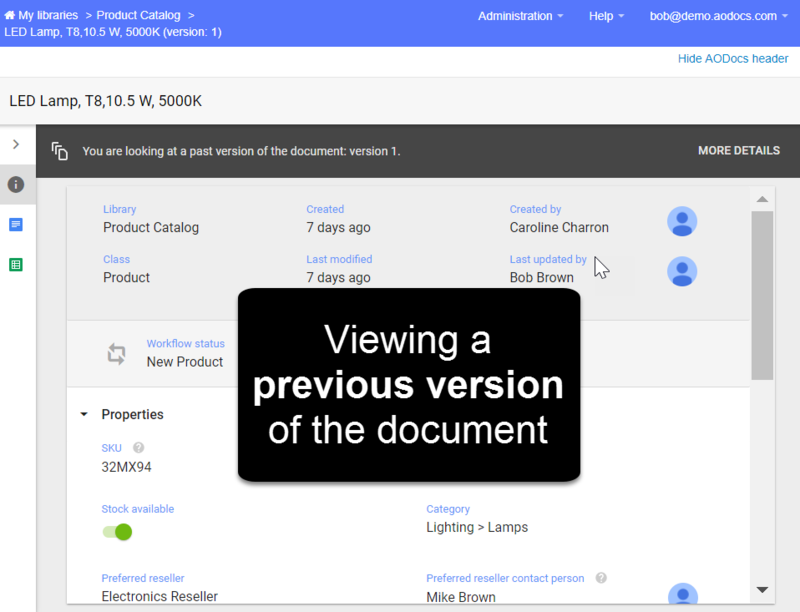 Please find below a list of the major new features and improvements in AODocs version 44. Learn more: What are workflows? With this new feature, administrators can now trash a folder structure and restore it completely without having to re-create it. 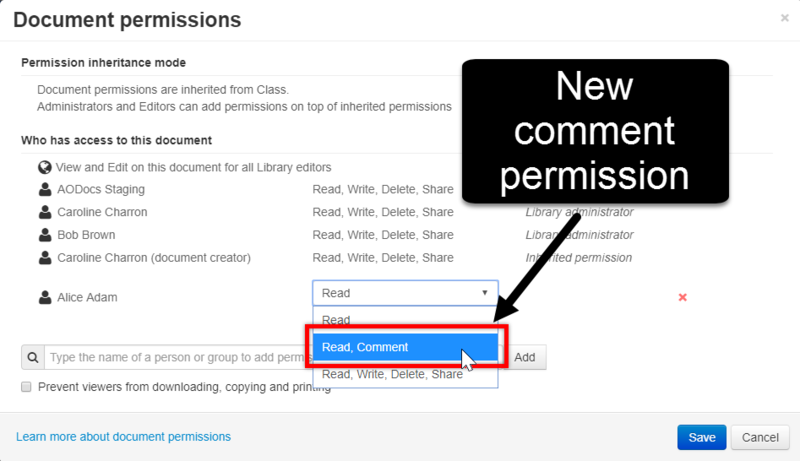 In the individual document permissions and workflow state permissions, you can now set permissions for people to read and comment (but not edit). 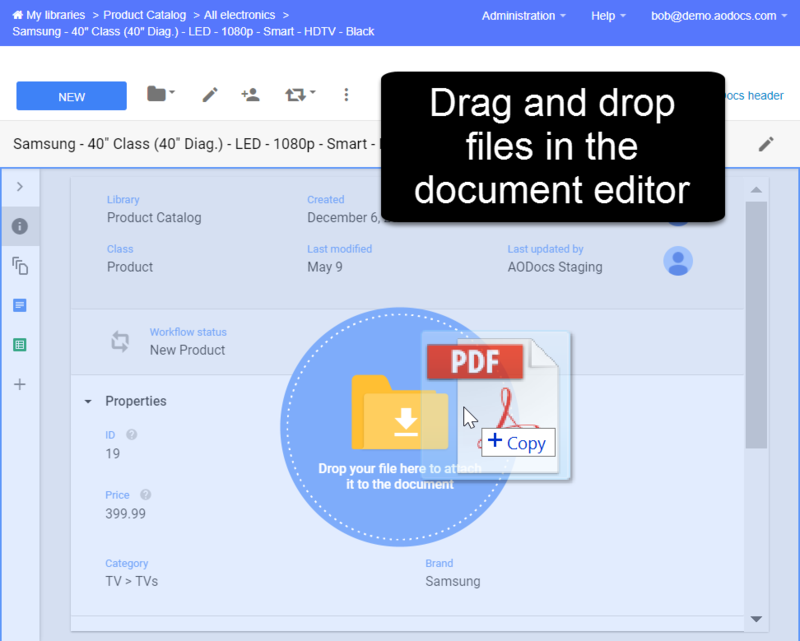 This is especially useful for Google documents. Learn more: Share documents in a Document Management library. 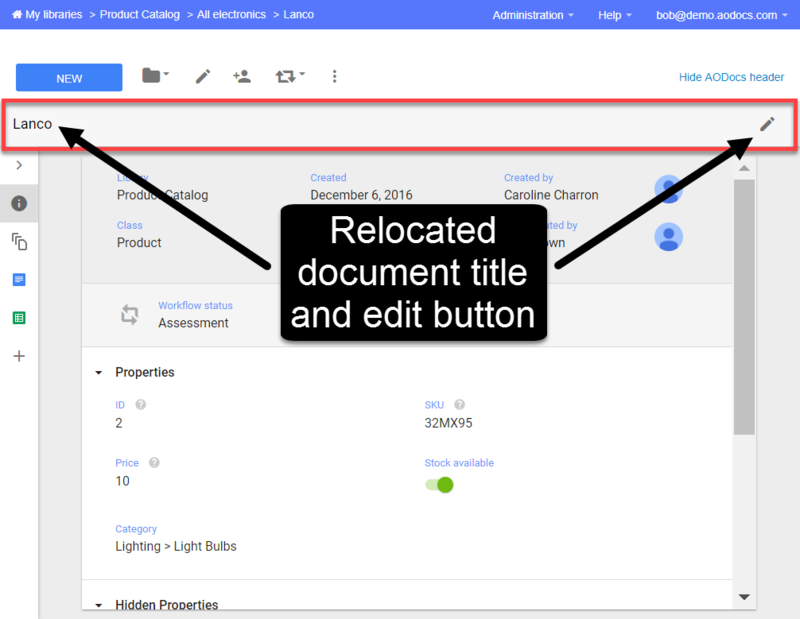 Contributors can now drag and drop new files in the Properties tab of a document. This feature will be extended in the coming releases. 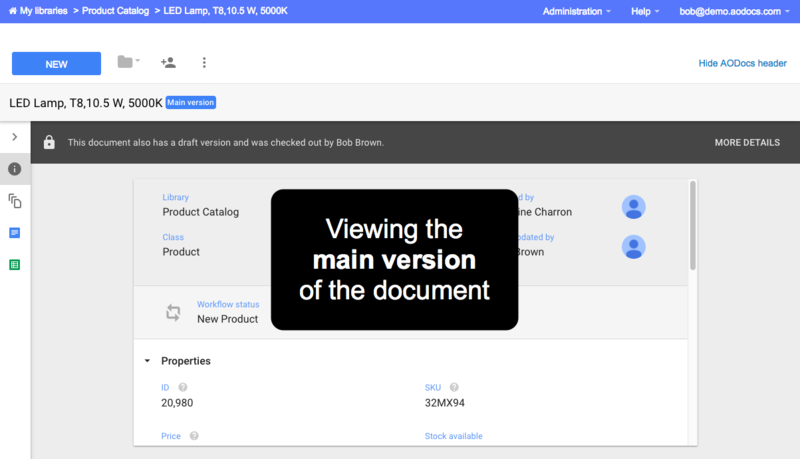 Library administrators can now define properties to be read only for the whole life cycle of the document. Settings at the class level and workflow state level are now aligned. When contributors create a new version (by check-in, upload or manually), they must now enter a version name that is different from any of the document’s past version names. The version name is incremented if versioning is managed by the workflow. 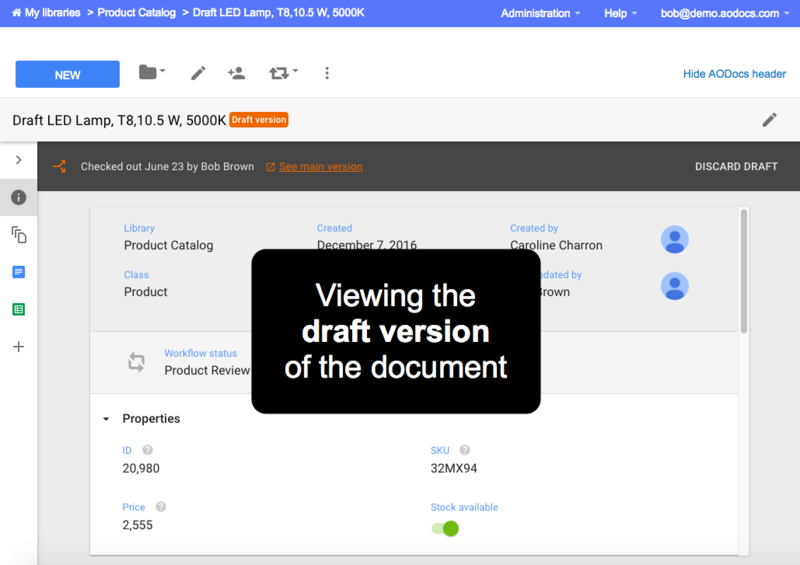 We continue to improve the user experience in the document page. The document title is now visible in one place (in addition to the breadcrumb) and you can now rename the document by editing the document properties. 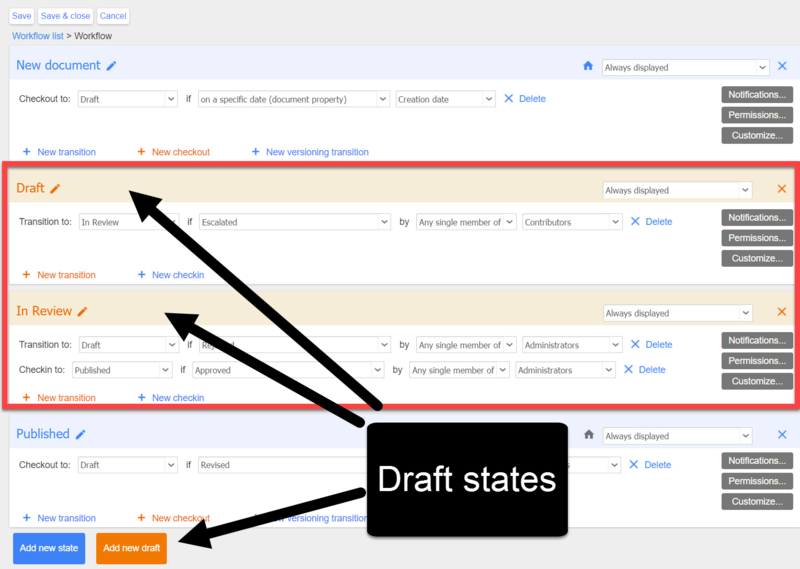 Following the improvements done on the version control via the workflow, banners are now displayed to distinguish draft, main and previous versions. We’re taking steps to have full internationalization of the screens in Japanese, Spanish and Portuguese. Coverage already includes French. 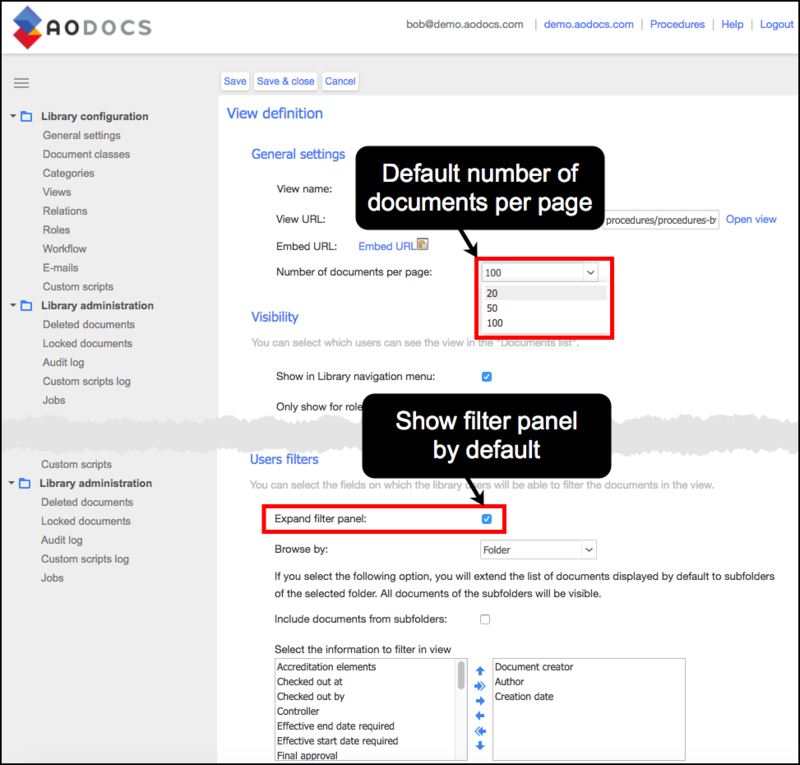 AODocs super administrators can now know how full storage accounts are. This is useful if you don’t have a G Suite account with unlimited storage. Learn more: Manage storage accounts. The list of security codes now indicates when security codes were last used. The field is empty if the code hasn’t been used since the last release. AODocs super administrators can also add a description for their security codes. A confirmation window is now displayed when you delete a security code. We took the first step to deprecate the Versions menu in the workflow configuration. If you’re impacted by this change, your domain administrators will be contacted directly. We took the last step to deprecate the Legacy editor. It’s now no longer usable - all remaining classes not targeted in the previous release are now switched to the Configurable editor. Full rollout from the 9th August 2017. … and more, so keep an eye out for the next release!